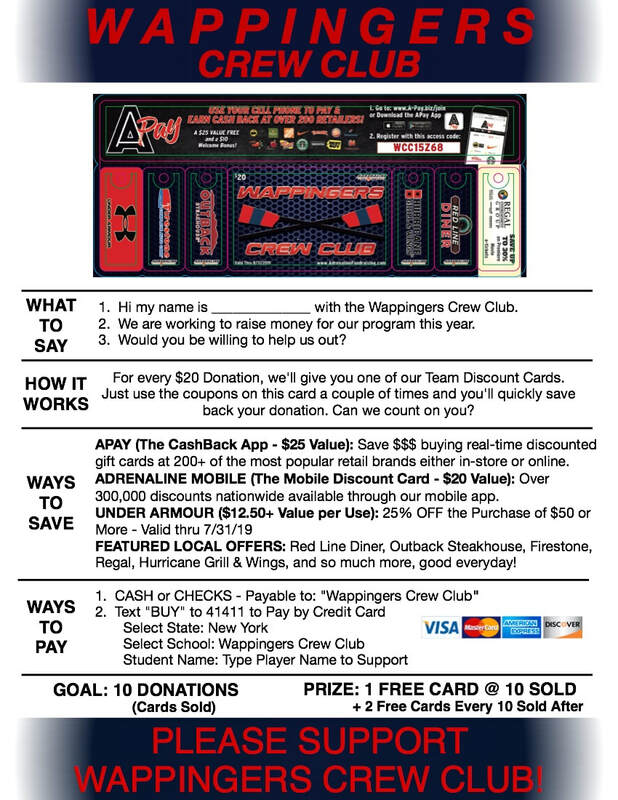 The cards are $20 and the Crew Club will earn $10 for each card sold. When you sell 10 cards, you will earn a free card! If you have any questions, please let me know. You can call or text me at 914 204 4378 or email me at wccfundraise@gmail.com. All monies and pre-sale forms are due at registration on 10/24 or 10/25. Cards will be in 10 days later and valid thru 8/31/19! !